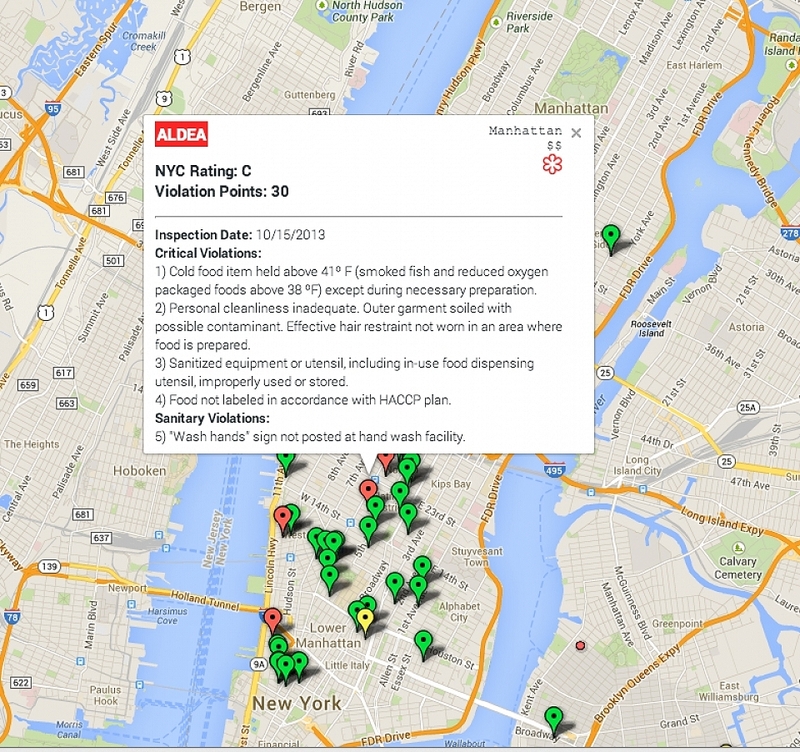 A look at the 2014 Michelin starred restaurants who received less than appetizing scores from the New York City Department of Health. 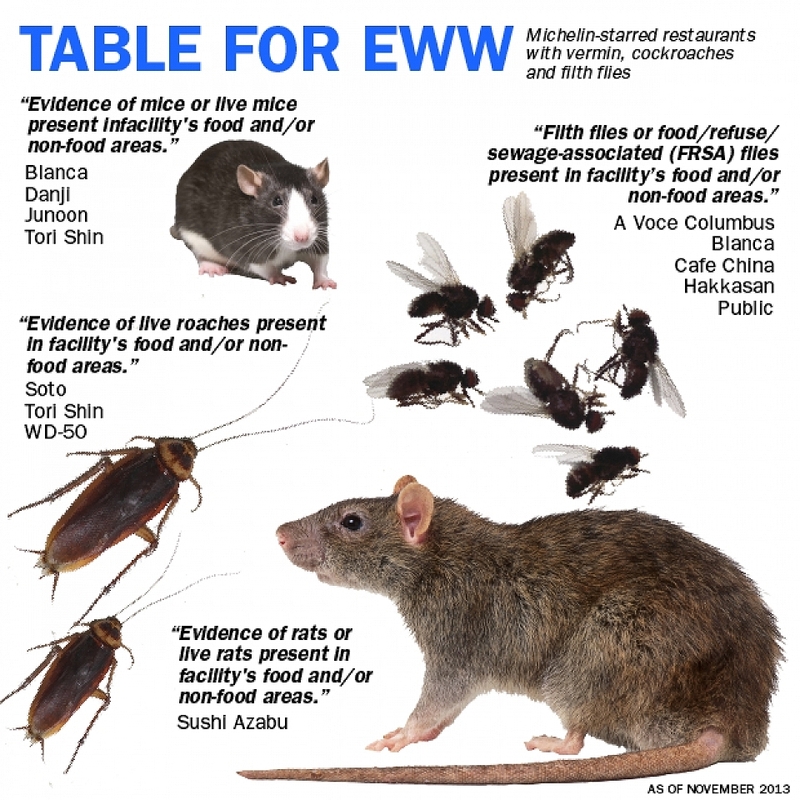 The final report included an infographic breakdown of restaurants and their reviews, as well as an interactive map of every dirty kitchen secret. 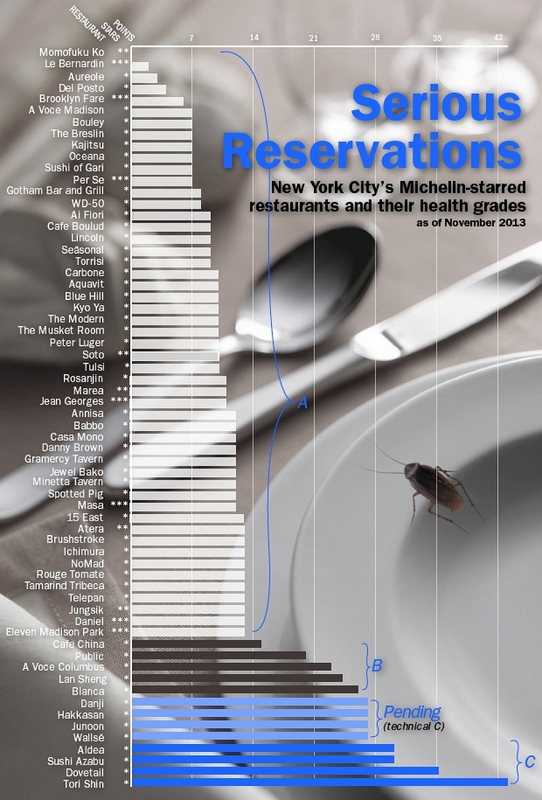 Of the 2014 Michelin-starred restaurants in New York City received C grades from the Department of Health this year, a distinction that’s almost comically difficult to achieve. If you count those restaurants in the Grade Pending category, the number of C’s actually doubles to eight. And then there are the five that got B’s.